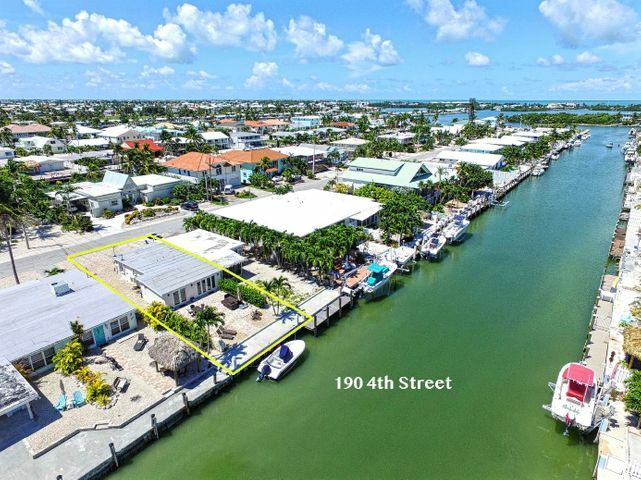 Find your SEASIDE home in this gorgeous 2 bed/ 2 bath half-duplex just steps away from renowned CABANA Beach Club! This home is the epitome of COASTAL ELEGANCE with updated materials and finishes throughout. NEW ROOF! Wood porcelain tile, stainless steel appliances, all less than 2 years old and IMPACT resistance windows/doors. Low maintenance backyard with a 33Ft. concrete dock and custom paver patio. Relax and enjoy in your outdoor OASIS after a long successful day fishing or at the beach/Tiki bar. During the day, bike ride/walk around Key Colony to one of the parks and at night soak away in your built-in whirlpool tub and achieve restful sleep from black-out shades! With SO many options to make this your PERFECT FL Keys getaway…the only question left is when will you move in?! ?